From a distance, Langley Secondary may look the same, but the expansions taking place on site have been steadily continuing. 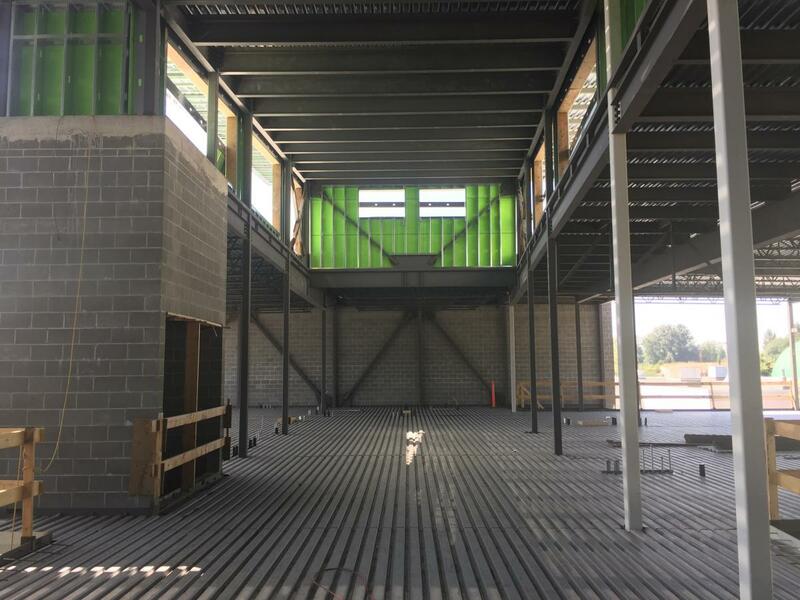 Here is some of the progress being made on the school, including the new Learning Commons area, and some of the construction near the large gym. Construction is expected to be completed by Spring Break of 2019, with students being able to move in in September. The main hall of the Student and Learning Commons hall, with an elevator on the left.